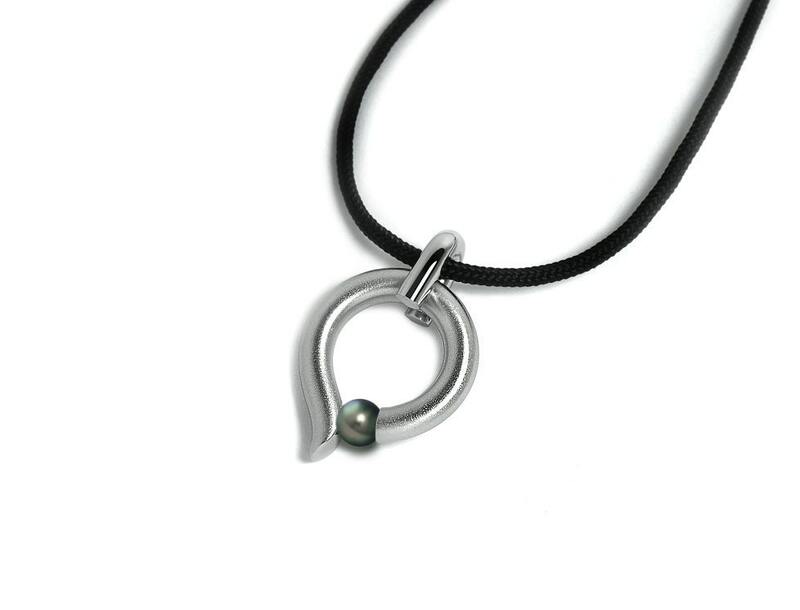 Two tone brushed and polished Stainless Steel woman's pendant with Tension Set Cultured Black Pearl. 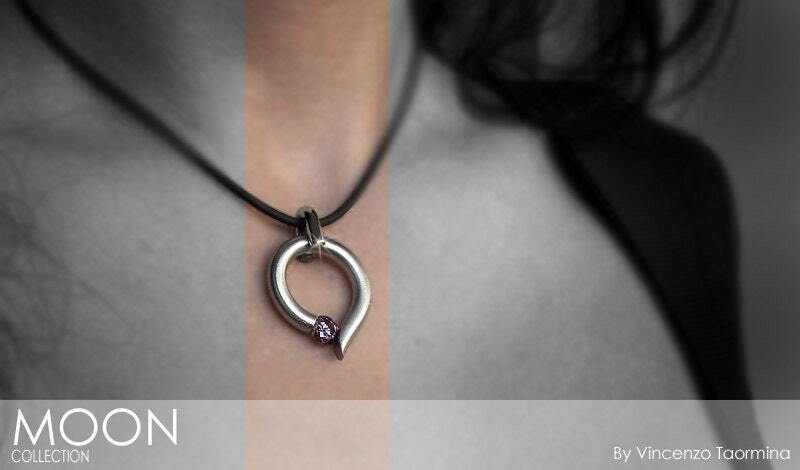 Pendant diameters: 20mm - 13/16"
Length available from 14" to 26". You can view both options in the images above. Awesome necklace, a little pricey but love it!